Pumpkins may make really great pies, but that doesn't mean they make the best decorations. They last somewhere between eight to twelve weeks, but then time takes a hold and their beauty fades, not to mention they develop quite the funky smell after a while. But Halloween is right around the corner! You need to have a pumpkin on your front porch, or on those stone steps leading up to your home, or wooden steps, whatever, just somewhere on your property to show your holiday spirit, right? 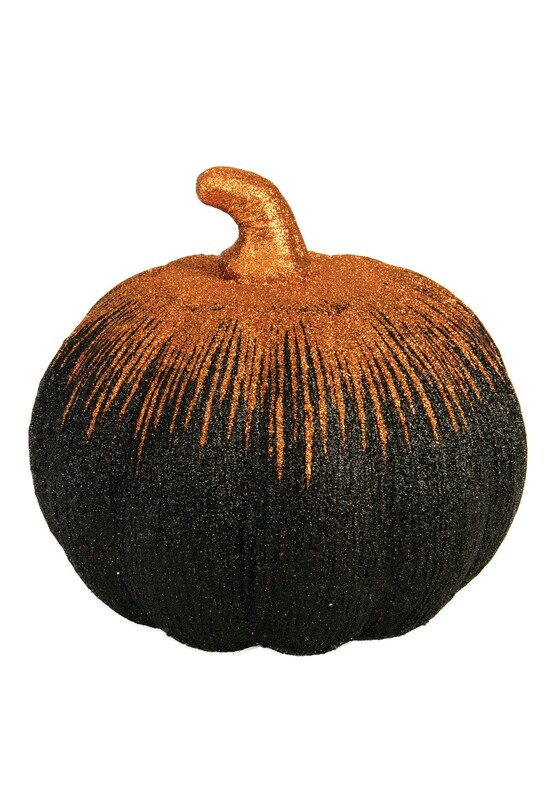 This 8" Orange And Black Starburst Pumpkin lasts a lifetime, so you can bring it out year after year. No more picking through patches on cold and windy Autumn days, having to deal with the pressure of finding that perfect pumpkin. Nope, this decorative vegetation always looks flawless and you never have to worry about it decaying! So, you can store it anywhere you can easily access it for future use. It seems that the only downside to this particular pumpkin is that you can't make a tasty pie out of it.